We first heard this idea from Lori Earl of This Star Won’t Go Out. 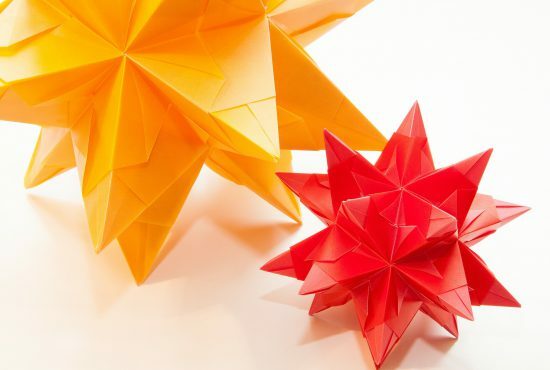 Make dinnertime fun, creative and meaningful by writing messages of love or inspiration on origami stars. Place them at different people’s plates and read aloud to each other, trying to guess who sent each note! Learn more about This Star Won’t Go Out and their annual holiday, Esther Day, here. Get an Esther Day Origami Star template from Penguin Books here.